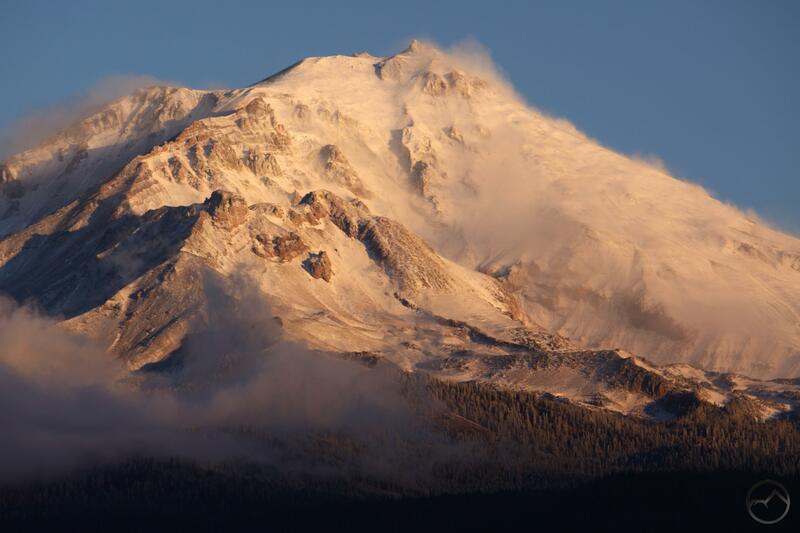 Mount Shasta at year’s end: still waiting for the snow. 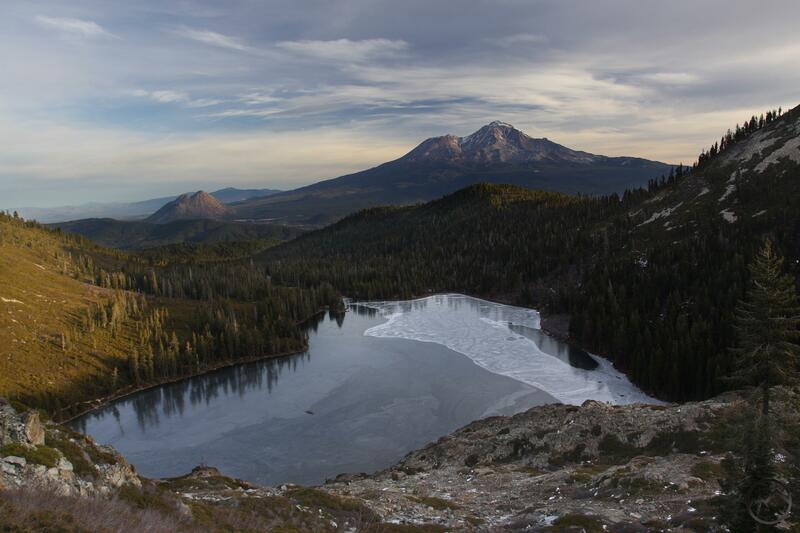 The year of our Lord 2013 was the first year for Hike Mt Shasta and it proved to be a great start. 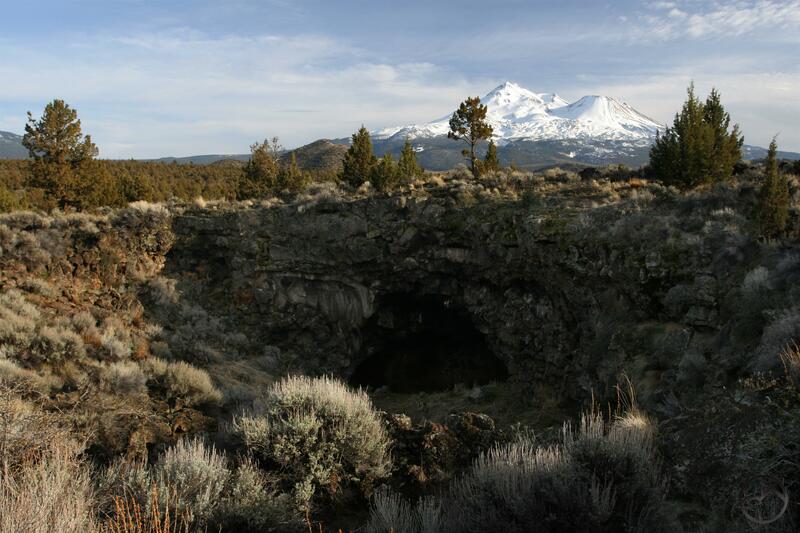 Hopefully the site encouraged a lot of people to get out and explore the amazing landscapes of the greater Mount Shasta area. This part of California is blessed with tremendous diversity and incredible beauty. Rather than try to offer the best images of 2013 or list of highlights, I thought it would more interesting to focus on the wonderful variety throughout the year. January: OK, this image is actually from New Year’s Eve in 2012, but I grandfathered it into 2013. I love the view of Mount Shasta from the Shasta Valley. Add a fantastic lenticular cloud and it can’t get much better. 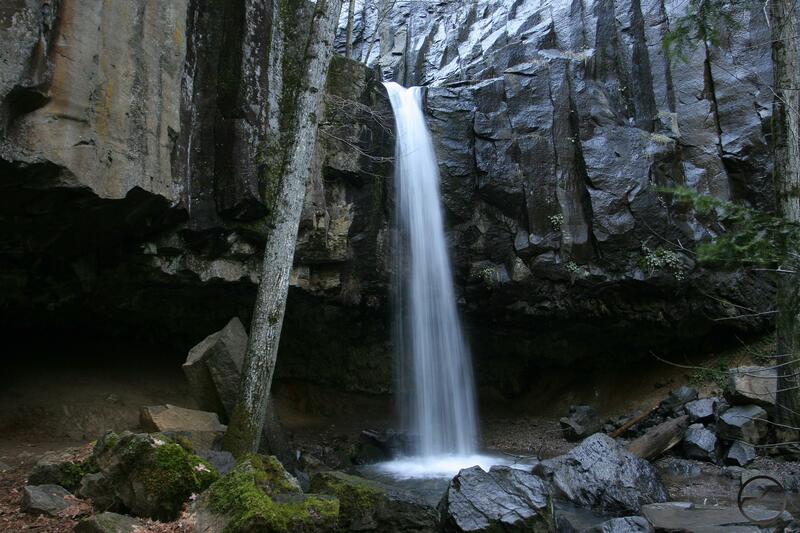 February: Hedge Creek Falls is best in winter and spring, especially when the high country is covered in snow. 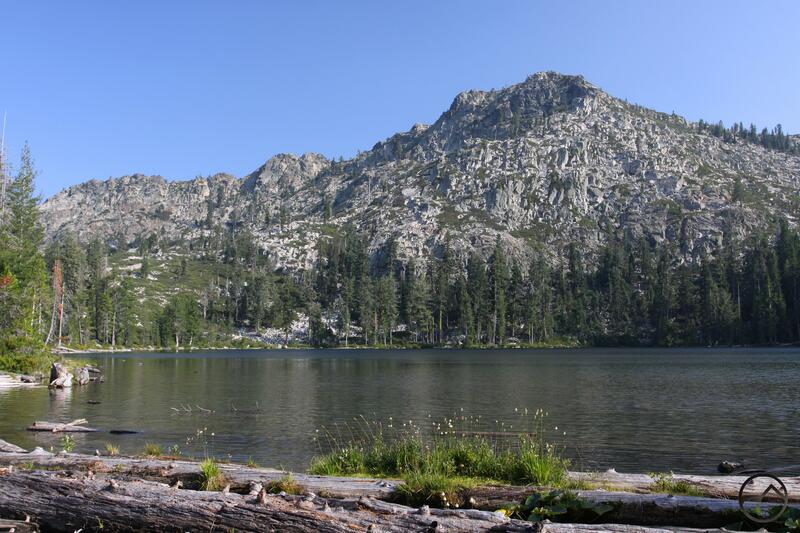 This is a great hike for kids or if just pressed for time. March: The temperature in Pluto’s Cave is the same throughout the year, which is great during the freezing temperatures of winter. The high desert above the cave also makes for interesting winter hiking. April: With warmer temperatures and the snow usually clear at the lower elevations, the Castle Crags offers fantastic spring hiking. 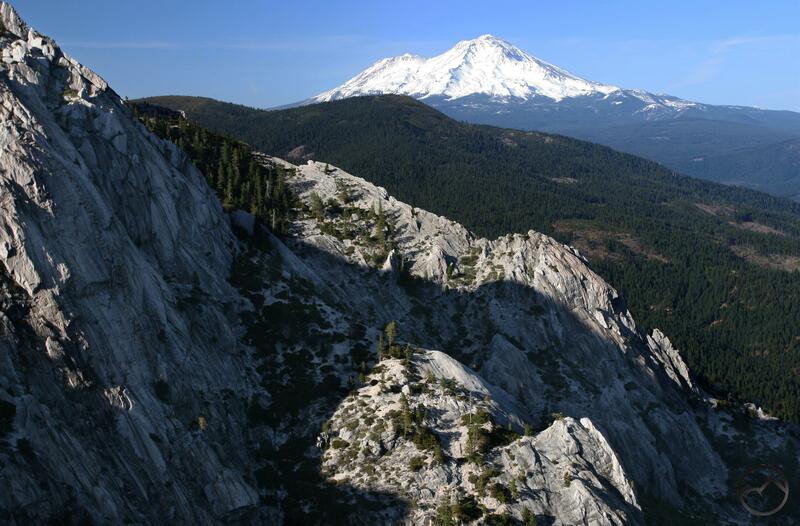 The waterfalls are graced with strong flow and the views of icy Mount Shasta are fantastic. 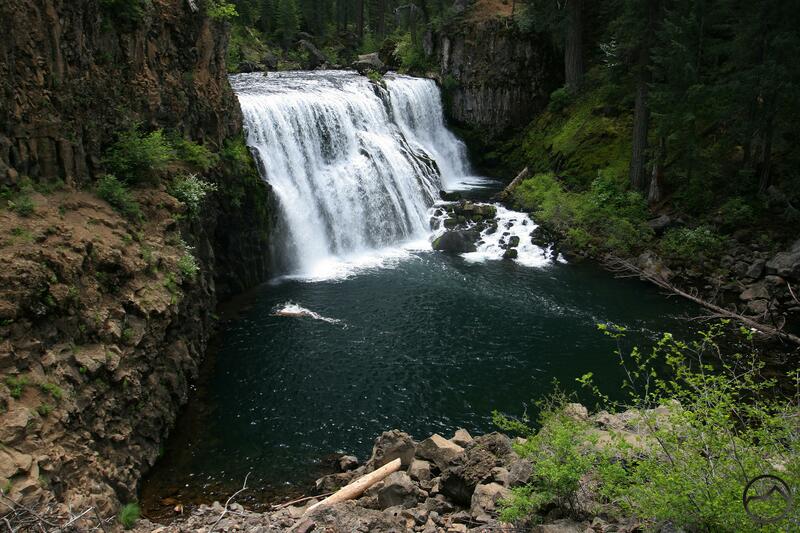 May: Spring is a great time to take advantage of the excellent trail along the McCloud River. This area has an air about it that hints at higher country but is quite accessible in the spring. 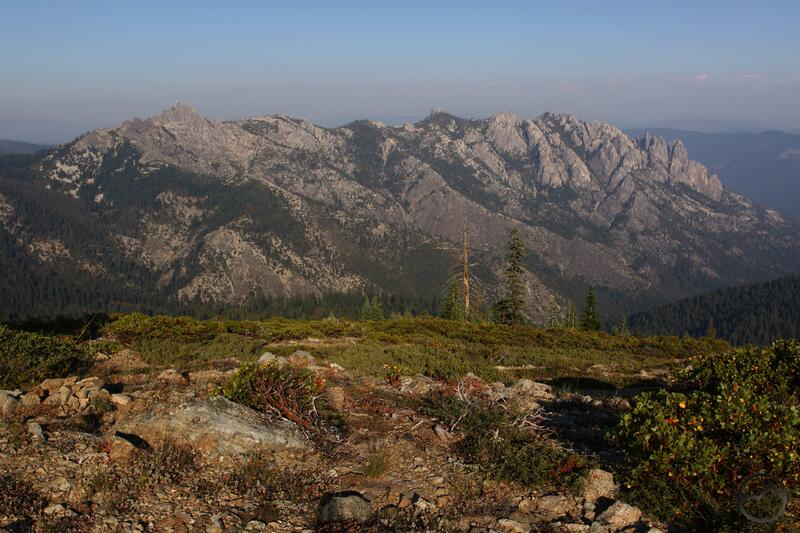 June: Just across the Trinity Divide from Mount Shasta lie the Trinity Alps, the North State’s largest wilderness. It also happens to be one of the most spectacular mountain regions in the country. June is often the perfect time to explore the Trinties. The snow is melting, the creeks are full, and cascades abound on the rugged peaks and canyons. 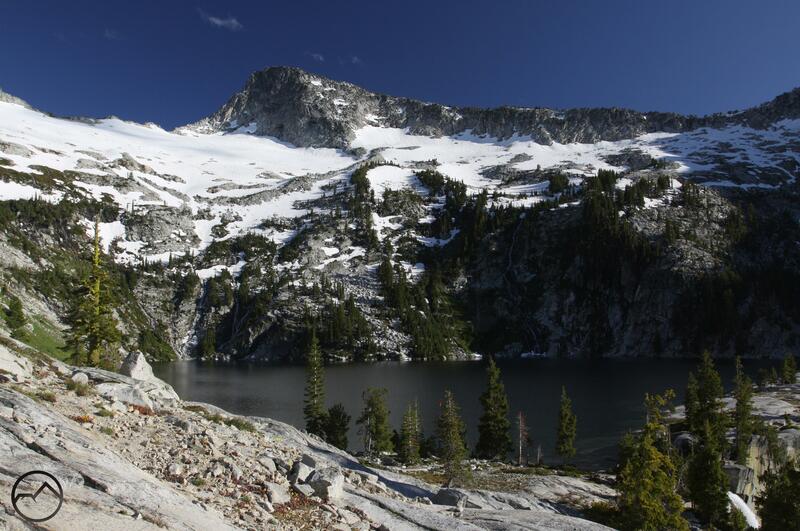 July: It is often easy to take the stunning lakes of the Trinity Divide for granted. It is a shame many of these jewels get overlooked. For those who explore them, craggy cliffs and abundant wildflowers await. August: The eighth month of the year is often hot and smokey and August 2013 was no different. Even so, there many opportunities to hit the trail and enjoy the spectacular scenery. 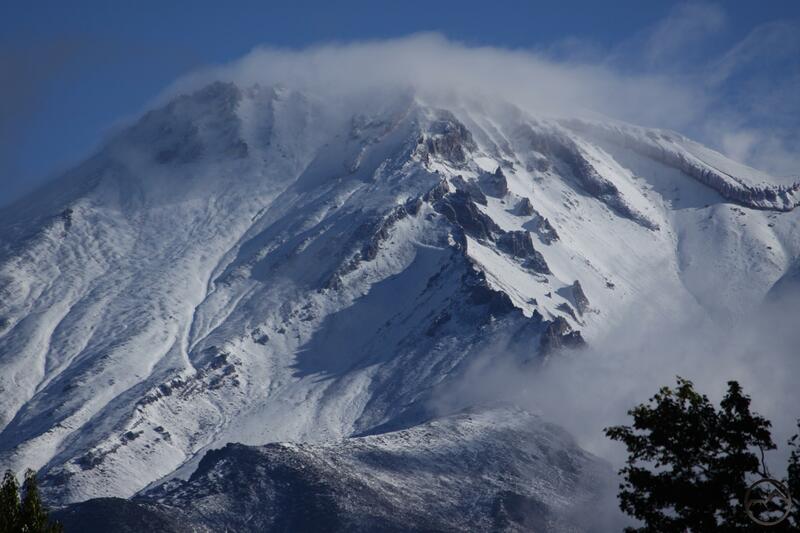 September: Even though it is still summer, September delivered a decent snow on Mount Shasta. It did not last, but it was satisfying to see the mountain cloaked in white again. 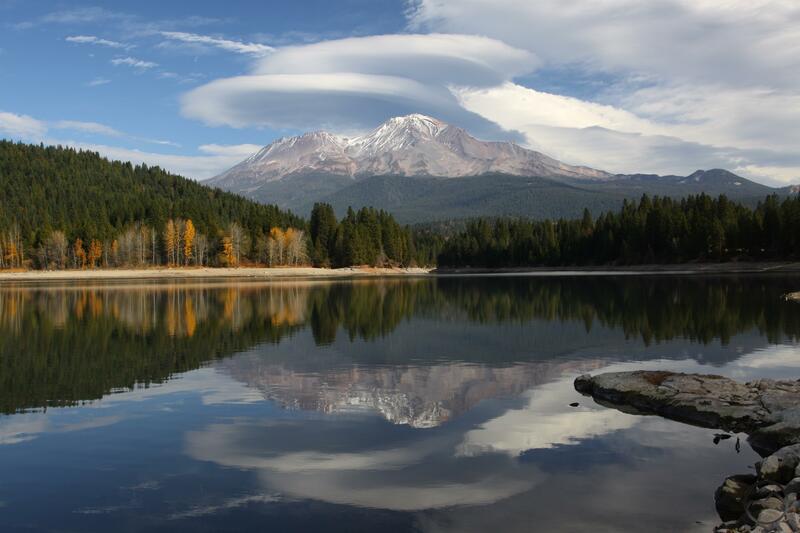 October: Autumn colors are abundant in the Mount Shasta area. 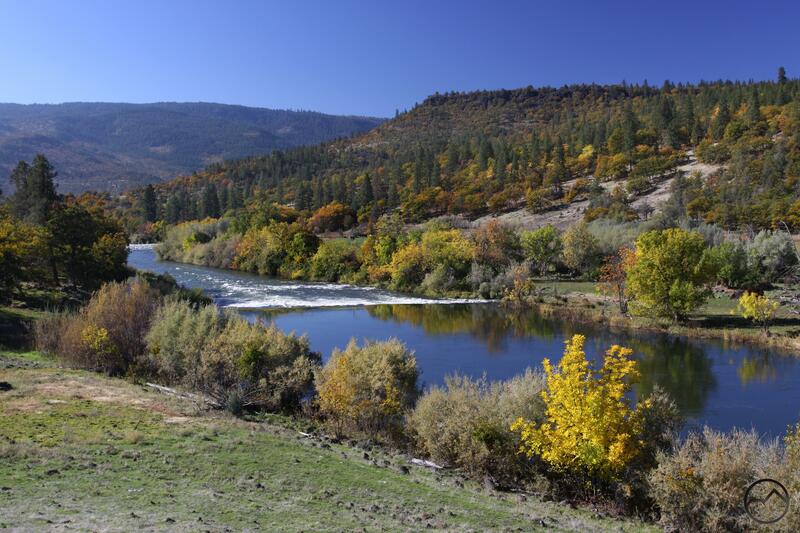 One of the best and loneliest places to enjoy the colors is in the Klamath River Canyon. 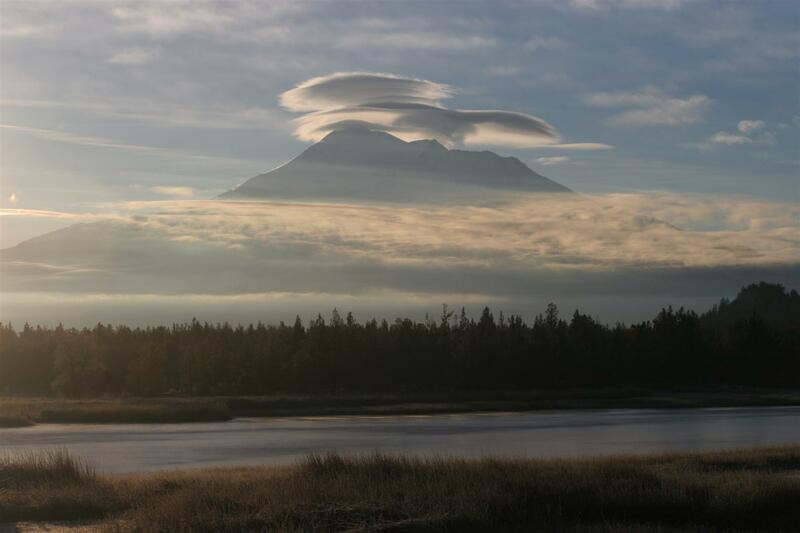 November: The coming of the cold season means November typically has great lenticular cloud displays. 2013 was no exception. I hope everyone is able to get out more in 2014 and explore new trails and enjoy old favorites! Thank you very much. Believe me, it is my pleasure to capture the images! Congratulations on a year of blogging. Your photographs are spectacular, and they make me wish that I lived close enough to visit the areas that you blog about, maybe someday. Thanks much. I hope that you are able to head out this way one of these days. Northern California is blessed with a magnificent landscape. Thanks for the encouragement too! Well done! Really enjoy your photographs and descriptions of the area. Nice to see all this collected in one place, Bubba, and great shots! It’s been a lot of fun reading your regional approach to outdoor blogging, and I’d say this site definitely qualifies as a unique and valuable resource. Looking forward to more in 2014! Thanks much Jackson, that really means a lot. 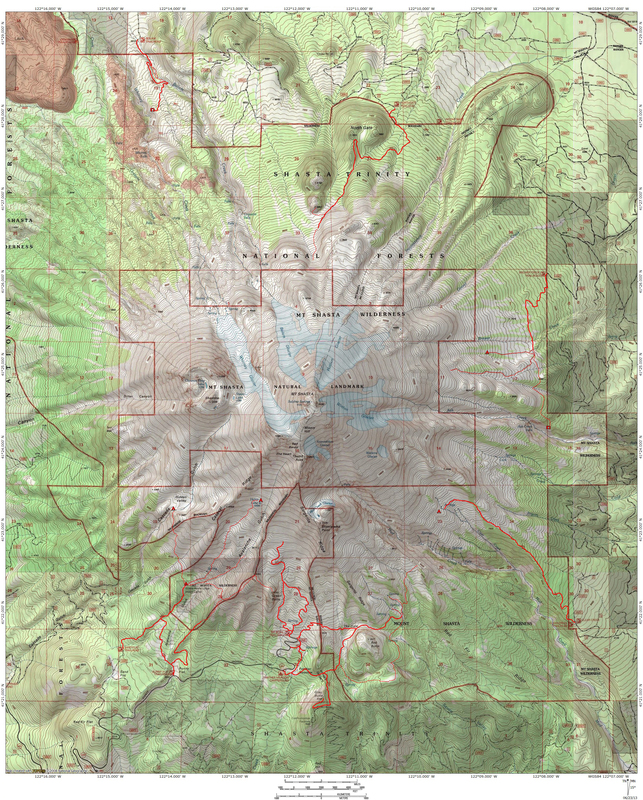 Crest, Cliff and Canyon played no small role in encouraging me to start something up for Mount Shasta. Your New Mexico Outback posts in particular had a real influence on the site. Killer blog, much inspiration for me! You really set the bar high for 2014 LOL Cant wait to see what you post! Incredible shots all of them!